We are thrilled to see Dany Mizrachi featured on Bridal Guide. The three-dimensional petal trend continues to slay on the racks and runways. 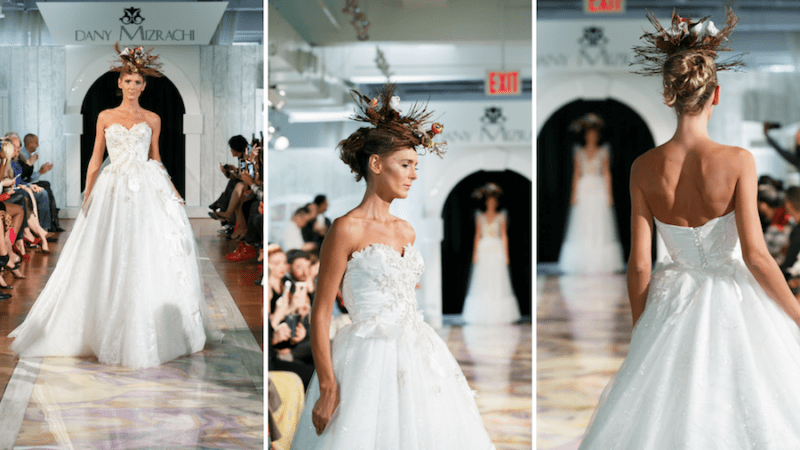 Bridal Guide covered all of the floral fantasy veil/gown combos from New York Bridal Fashion Week and we are happy to be included in their roundup of forty fancy floral wedding gowns. The story of Israel’s top bridal and evening gown designer, Dany Mizrachi, began when he was just a teenager in Tel-Aviv. What was a small family textile shop turned into a Israeli fashion chain by the Mizrachi Brothers that feathered truly international standards and groundbreaking “Rosh Indiani” designs.